The best line in Homeworld is the last line in Homeworld. At the end of the Mothership’s great odyssey, from the dusty desert world of Kharack to their homeworld, Hiigara. Through near genocide, the ship’s brain, a women implanted into the computer core named Karen S’Jet, is finally extracted. Karen is your calm and capable companion throughout the game. She is fleet command. She is the first to realise that Kharack is burning. She’s the first to detect the colonists, held in cryogenic suspension about Kharack, first to formulate a rescue plan. She is the first to make contact with the Bentusi: a benevolent race of space traders who offered equipment and weapons to the refugees. She’s the first to feel the Galactic Emperor’s wrath: in the final mission he lashes out, putting in a coma. She insists on being the last to leave the mothership. She’s the last to set foot on the new Homeworld. It is one of the greatest PC games of all time. It is a space strategy game, in which players construct a fleet of spaceships from one central moving base, the Mothership, fighting against ferocious AI. It’s a curious game, unbelievably hard game. 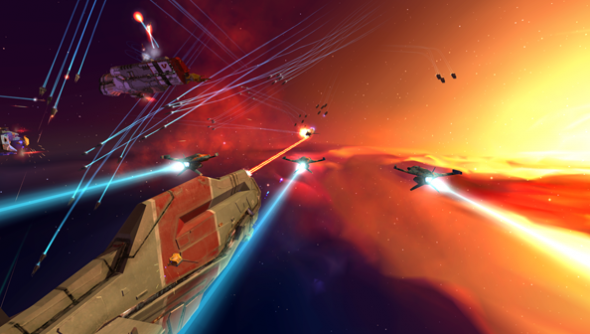 Homeworld forces you to fight with the forces that survive the previous level: and then places against them, a force perfectly suited to tearing those survivors apart. The only way to cope is to steal: using salvage corvettes to hijack the enemy’s units and take them back to base. It’s emotionally perfect: an exodus, a hero’s journey, a fable and a science fiction legend. The story of a people escaping cyclical genocide, searching for their Eden. Its story and lore, told through beautiful black and white cutscenes, is perfectly paced, perfectly judged. Homeworld was made by Relic, and Relic, thank goodness, have been bought up by Sega through THQ’s distressing bankruptcy. But, as we’re gradually learning, the sale of Relic didn’t include the sale of some of the intellectual property they created. Sega, their buyers, got a great studio. But they didn’t buy the game that made them great. There is good news. 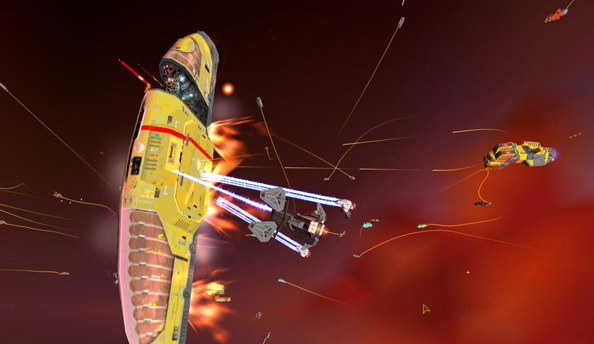 An auction will eventually take place for THQ’s final assets and IP, which will include the rights to the Homeworld games. Over the last few years, one of the great, brilliant trends is for publishers to reinvent old games. Gamers want to play those games. The obvious example is XCom – Firaxis’s amazing reworking of the ancient, but still brilliant strategy classic. But look at the success of Fallout 3 and New Vegas. Or the marvellous reinvention of System Shock in Bioshock. But look at groundswell of support for titles like Elite: Dangerous, Star Citizen, Obsidian’s RPG project, Wasteland 2, Planetary Annihilation and more. Look at the interest in the forthcoming SimCity, and the continuing sales of Shogun 2. It all points to one indisputable fact: PC gamers want their old games back. But better. Homeworld is absolutely perfect for such a regeneration. Space is cool, but underserved. There aren’t many high profile space games… but after Elite and Star Citizen, it’s clear the public want more. 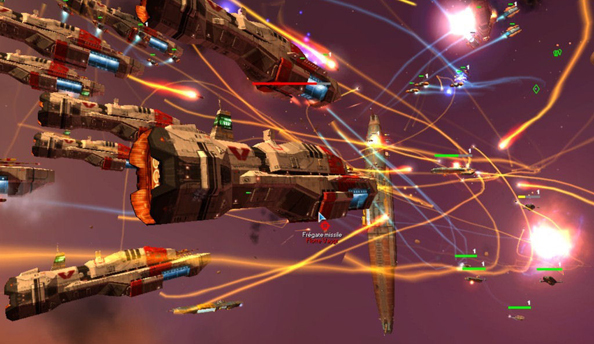 RTS games are Relic’s speciality, and there’s plenty you could do to update Homeworld’s somewhat dated mechanics. 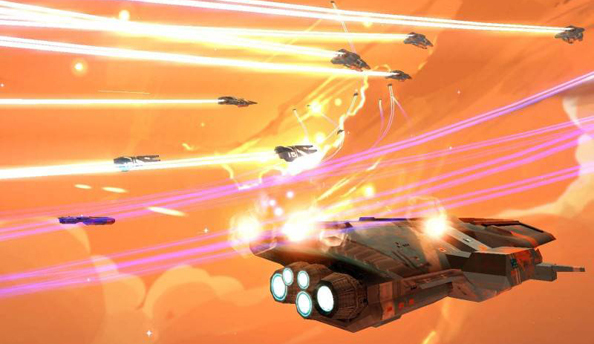 There’s huge potential for online multiplayer: Starcraft but actually between stars. There’s an obvious reason to pick up Relic: their success with the Warhammer games matches perfectly with Sega’s portfolio of great PC studios. Creative Assembly, Sports Interactive, and now, Relic. There is so much potential with the Dawn of War games and their expansions. And Company of Heroes is superb. You could forgive Sega for just continuing those series. But there is so much potential within Homeworld. I want a new one so badly I could vibrate.